The National Association of Social Workers (NASW) is a partner with the National Organization on Fetal Alcohol Syndrome (NOFAS) on a campaign to raise awareness of fetal alcohol spectrum disorders and reduce incidences of children being exposed to alcohol while in the womb. Please read this press release from NOFAS on results of a study on the prevalence of fetal alcohol spectrum disorders in children. WASHINGTON, D.C. – Today, JAMA, The Journal of the American Medical Association, published the results of a National Institute on Alcohol Abuse and Alcoholism study that measured the prevalence of fetal alcohol spectrum disorders (FASD) among first grade students in four US communities. Over 6,500 children were evaluated and the most conservative estimate for FASD ranged from 1 to 5 percent, or 1 in 20 students. When scientists applied this rate to the remaining first graders in each community who were not evaluated, the overall estimate for FASD was even higher ranging from 3 to 9.8 percent among the study sites. The study stated that, “mounting evidence that harmful fetal alcohol exposure is common in the United States.” The figures are consistent with data from the Centers for Disease Control and Prevention (CDC) that 10 percent of pregnant women report drinking alcohol and three percent report binge drinking, putting over 100,000 births in the US each year at high risk for FASD. In contrast to this new FASD data, the CDC’s most recent estimates for autism spectrum disorders are 1.5 percent of US children. Fetal alcohol spectrum disorders are known as hidden disabilities because the vast majority of children and adults living with the impairments are not diagnosed. Only 2 of 222 children identified by the study’s researchers to have an FASD had already been diagnosed. The study states that, “missed diagnoses and misdiagnoses of children are common.” Stigma is a major factor in the systemic lack of recognition of FASD. Physical symptoms are rarely present and the characteristics of FASD can be subtle. The effects can include impaired memory, learning and behavioral problems, and deficits in executive functioning, the neurologically-based skills involving control and self-regulation, and adaptive behavior, the ability to manage and control personal actions. The study’s highly reliable active case ascertainment methodology was used to systematically assess children in the four domains that contribute to the FASD continuum: neurobehavioral development, physical growth, physical malformation, and prenatal alcohol exposure. 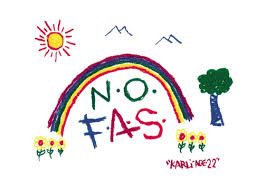 Children were identified with FASD through face-to-face examinations by doctors with extensive experience in FASD using standardized neurobehavioral testing. FASD includes fetal alcohol syndrome, partial fetal alcohol syndrome, and alcohol-related neurodevelopmental disorders, the diagnosable conditions associated with prenatal alcohol exposure. Contrary to common beliefs, moderate or even light drinking during pregnancy can cause lifelong impairments. While higher amounts of alcohol exposure generally increases a developing baby’s risk for FASD, not fully understood genetic, nutritional, and other factors make predicting the outcome for an alcohol exposed newborn difficult. The study was conducted by the Collaboration on Fetal Alcohol Spectrum Disorders Prevalence (CoFASP), which has studied the prevalence of FASD among school-age children for over a decade. The consortium is co-led by Philip May, Ph.D., of the University of North Carolina Nutrition Research Institute, Kannapolis, and Christina Chambers, Ph.D., of the University of California San Diego School of Medicine. The National Organization on Fetal Alcohol Syndrome (NOFAS) is a public health advocacy organization that works to prevent prenatal exposure to alcohol, drugs, and other substances known to harm fetal development by raising awareness and supporting women before and during their pregnancy, and supports individuals, families, and communities living with Fetal Alcohol Spectrum Disorders (FASDs) and other preventable intellectual/developmental disabilities. For more information, visit www.NOFAS.org. The National Institute on Alcohol Abuse and Alcoholism (NIAAA), part of the National Institutes of Health, is the primary U.S. agency for conducting and supporting research on the causes, consequences, diagnosis, prevention, and treatment of alcohol use disorder. Contact the study’s authors at NIAAAPressOffice@mail.nih.gov . Reference: May, P.A., et al. Prevalence of Fetal Alcohol Spectrum Disorders in 4 US Communities. JAMA. Online February 6, 2018.